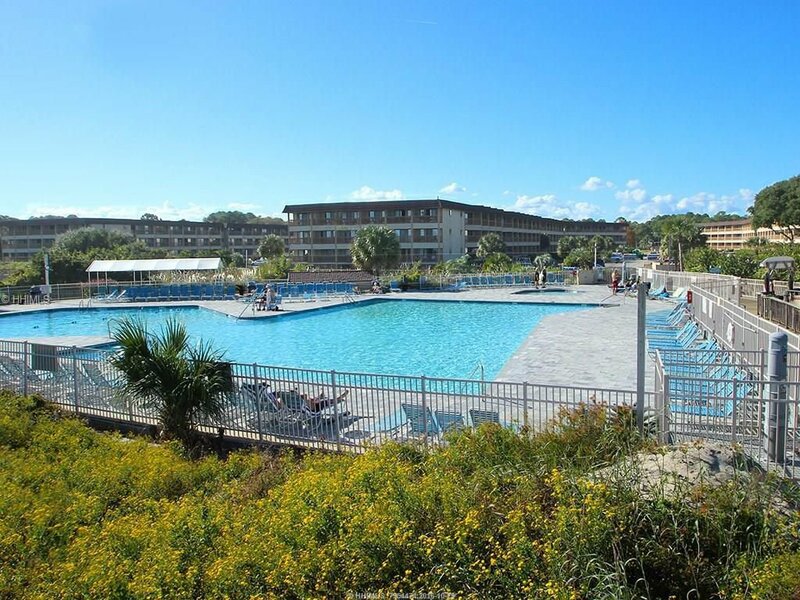 The largest swimming pool in all of Hilton Head awaits you when you vacation at Hilton Head Beach and Tennis B134. 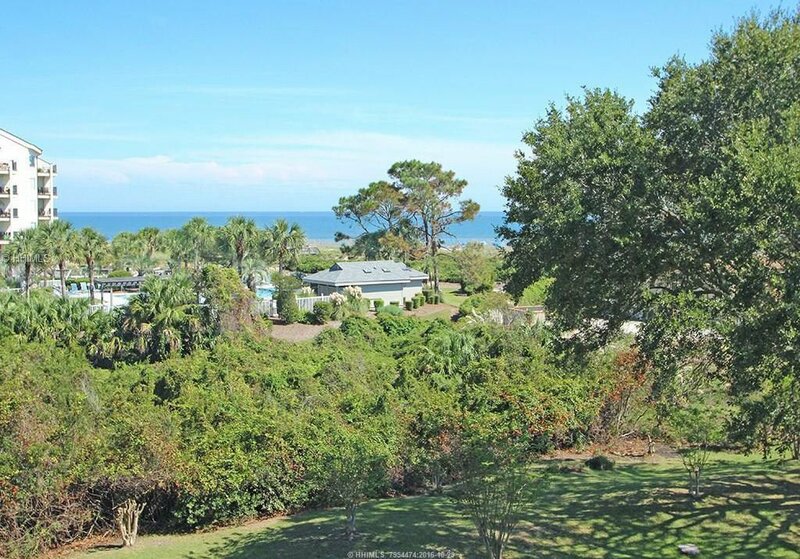 Plus, from your ground floor balcony, you overlook your resort grounds and in the distance the Atlantic Ocean. 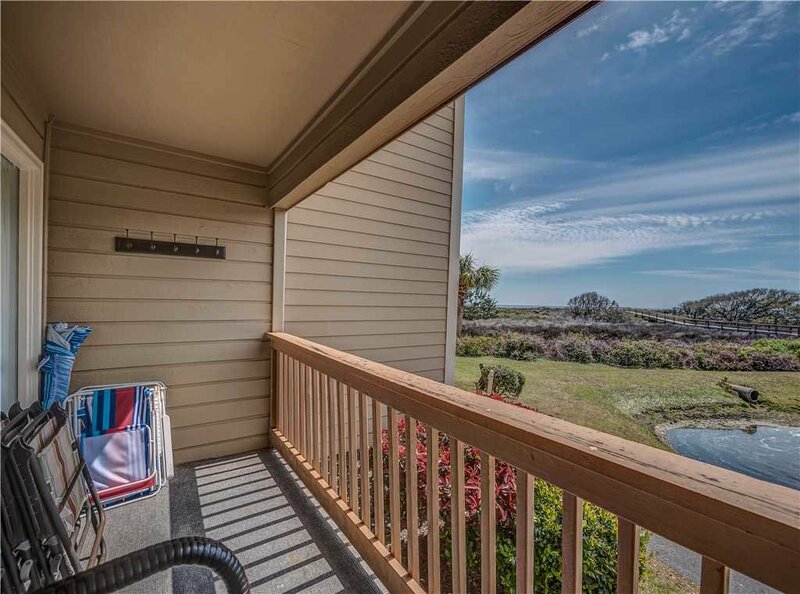 Imagine sitting out on this balcony enjoying a cup of coffee while you watch the sunrise over the ocean. Incredible beauty! 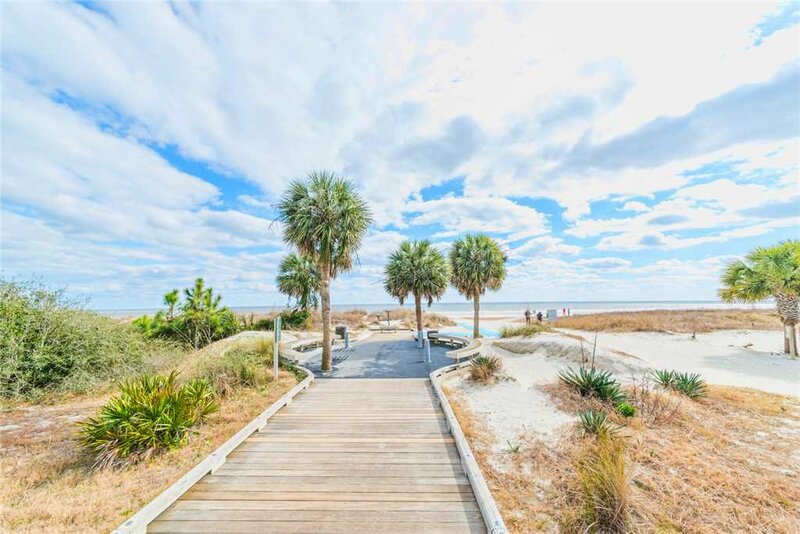 Hilton Head Beach and Tennis B134 is a one-bedroom, one-bathroom, air-conditioned condo that is soon to be your next place of haven. 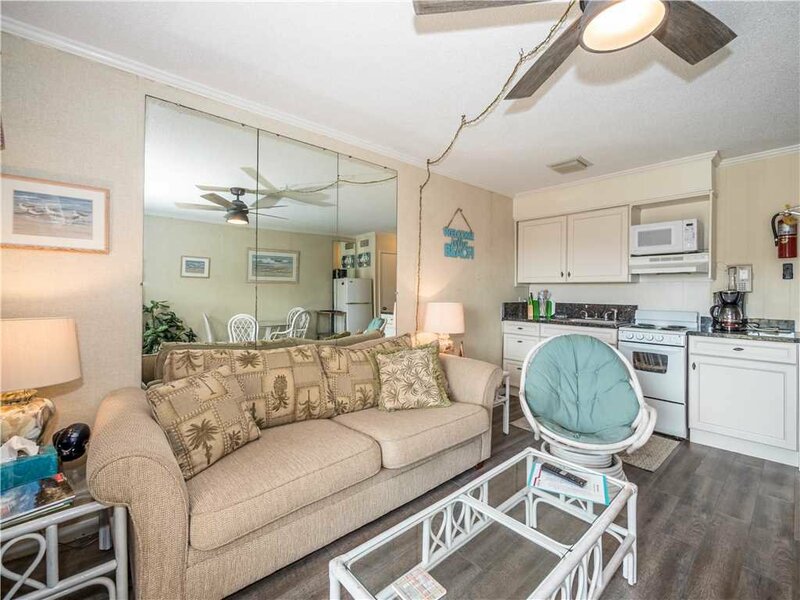 Settle into all that this cozy space has to offer while you plan out your day on Hilton Head Island. 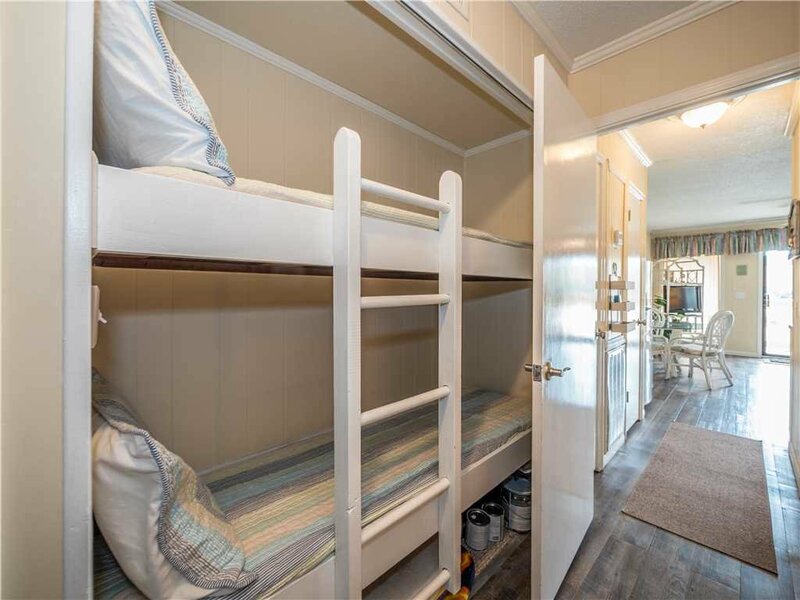 When the two hallway bunkbeds are put to use, this abode can comfortably sleep four. There’s also a sleeper sofa in case you have an overnight guest join you. 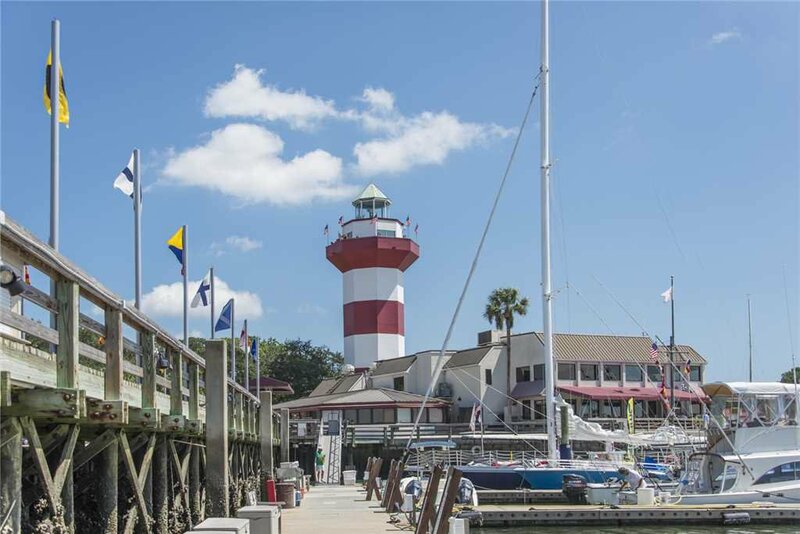 From Hilton Head Beach and Tennis B134, you are close to many of the quirks and attraction that add character to this town. 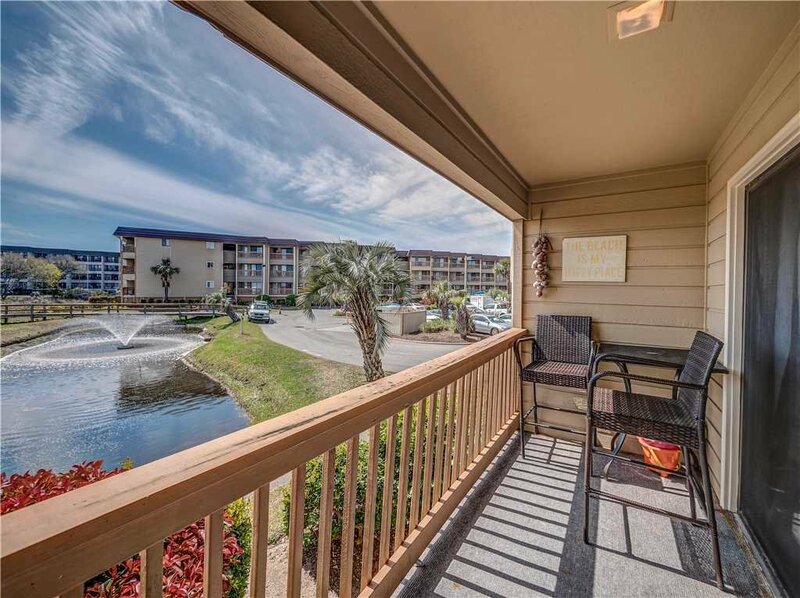 Pop on over to Harbor Town, within walking distance of the beach, or pick up a game or two at many of the great golf courses that are all around you. Surround yourself with a coastal theme that will quickly remind you that you're on vacation. 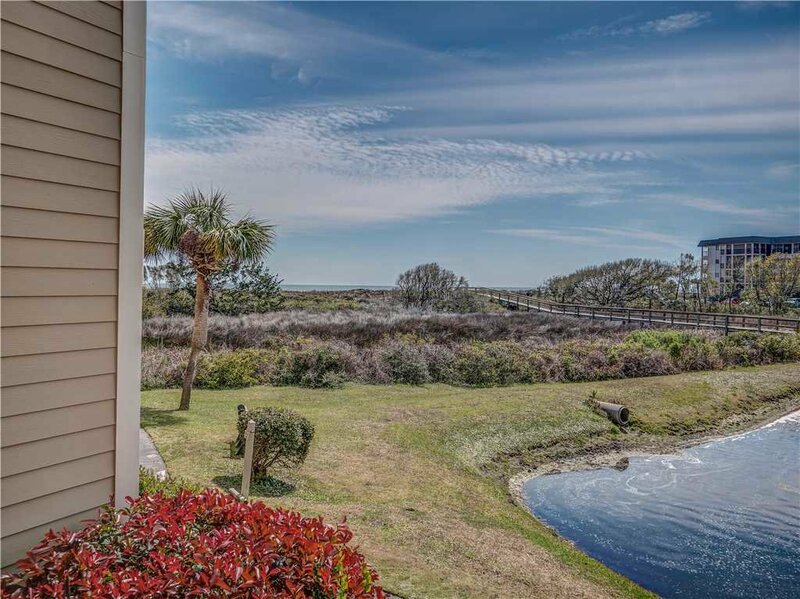 Walk into the main living area of Hilton Head Beach and Tennis B134 and encounter an open floor plan that keeps everyone connected. You will never feel cut off or isolated, everything is within reach. 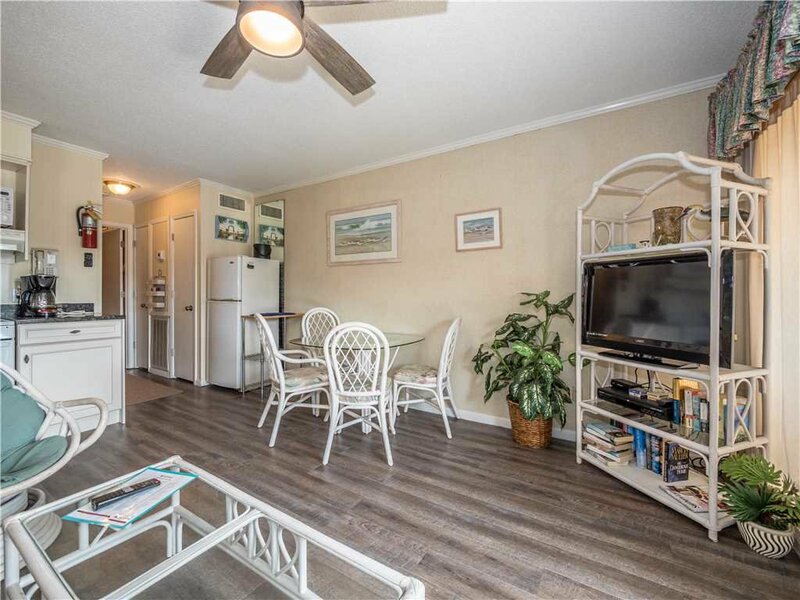 Your living room features a TV with cable and you have free Wi-Fi within the condo so you can post photos, make reservations, or check out websites for local attractions. 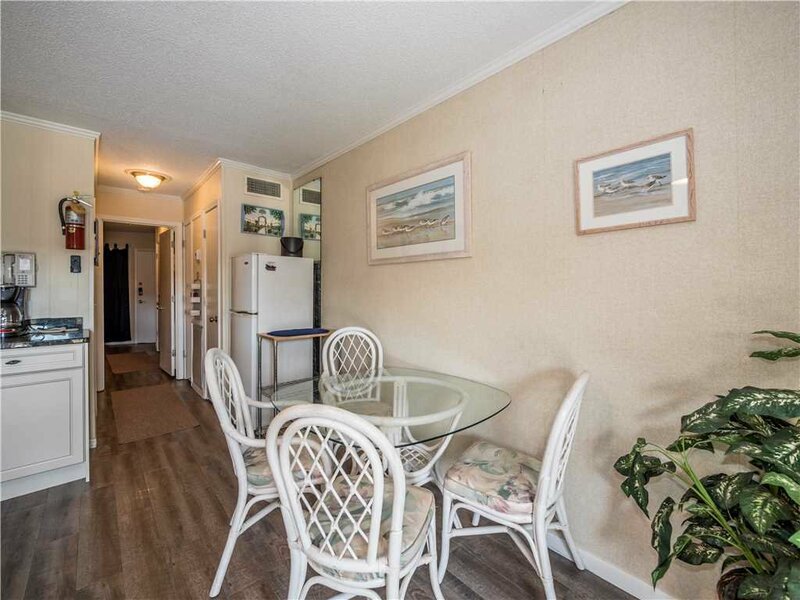 Tucked off to the side in the main living area is your dining table for four. 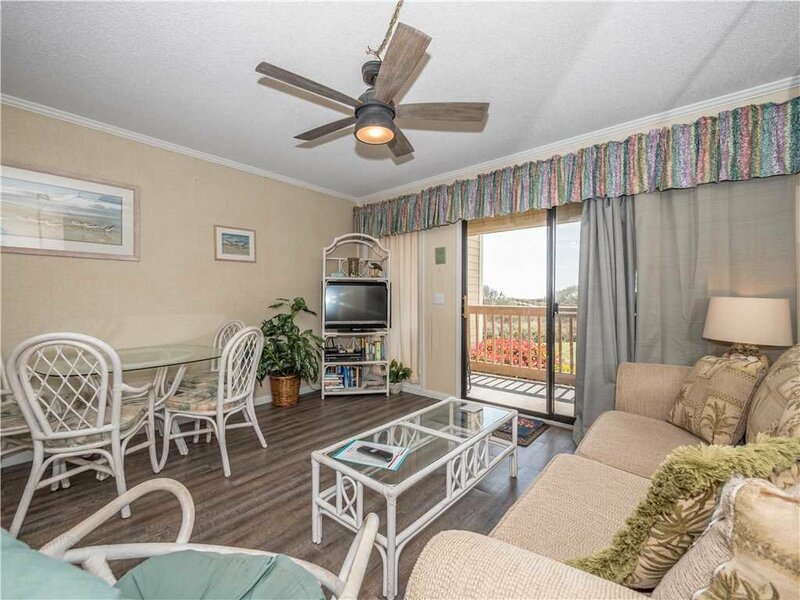 This intimate space is a great place to spend quality family bonding time. Of course, you can always go down to the community picnic area where you’ll find grills. It’s fun to dine out in the salty sea air. Come and dine locally! There is an abundance of seafood just waiting for you to enjoy. 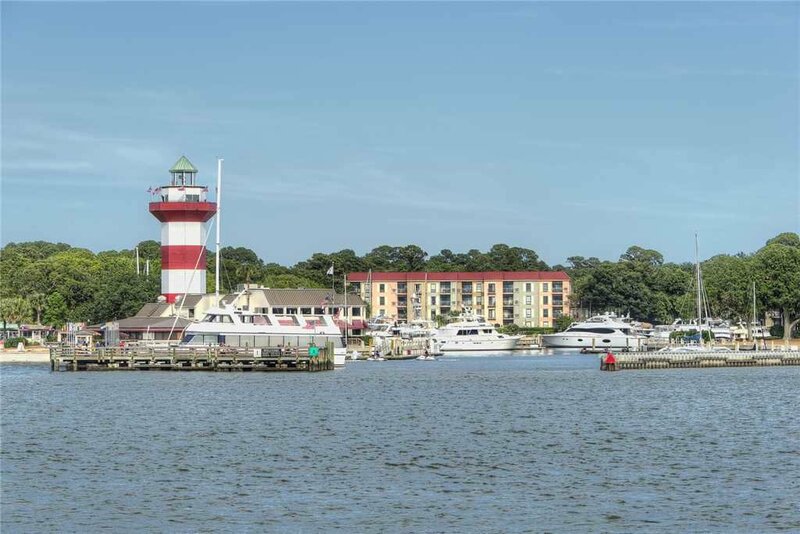 So feel free to check out the many restaurants on Hilton Head Island. 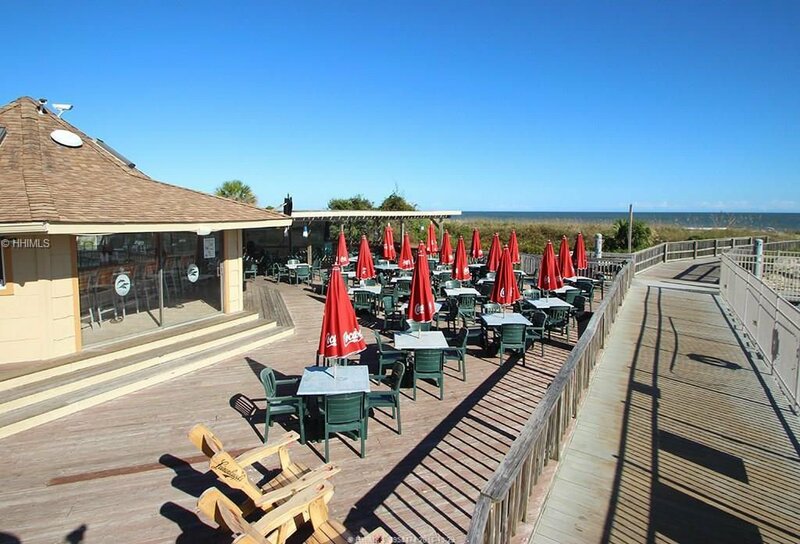 You’ll want to be sure to visit The Crazy Crab, Carolina Crab Company, and Reilly’s Grill and Bar. You’ll taste some of the best seafood you’ll ever eat in these well-revered establishments. 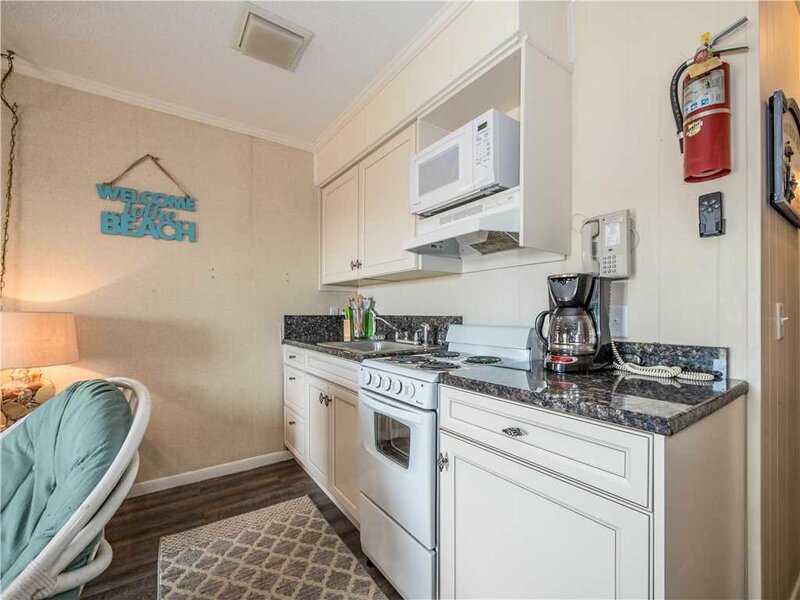 Of course, if dining out is not in the plans, take advantage of the kitchen located within the great room in Hilton Head Beach and Tennis B134. You’ll find everything you need to prepare your favorite recipes. 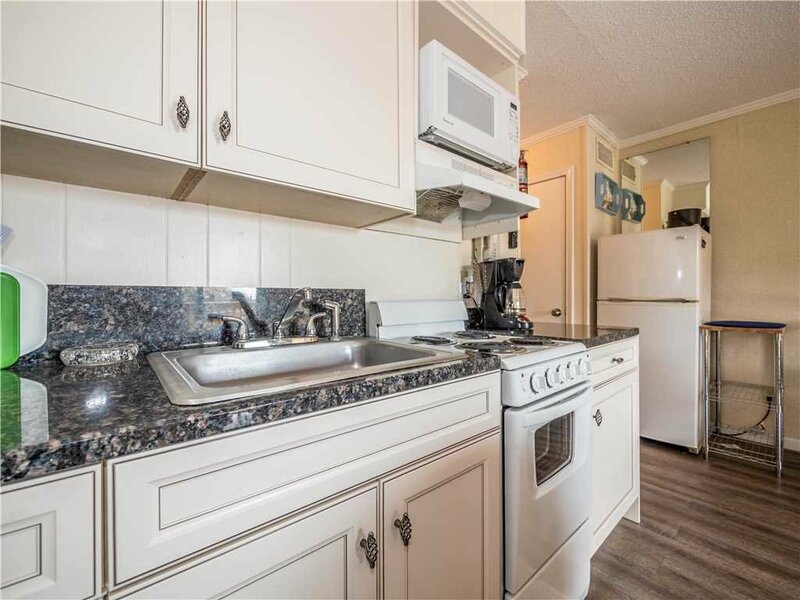 You even have a microwave for warming up leftovers. Nothing is lacking when you are prepared to fill some bellies! 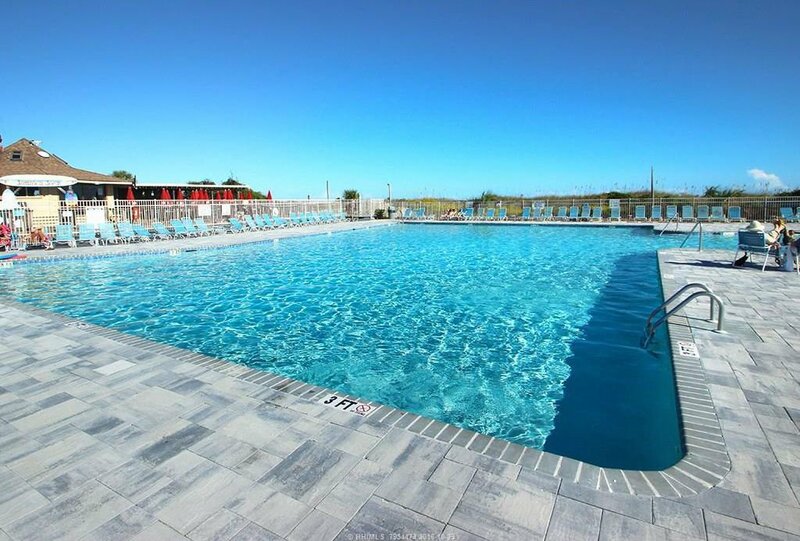 During your days on Hilton Head, you’ll want to slip down to the large resort pool and enjoy a swim. Get some exercise and then dry off in the sunshine while lounging on one of the many chairs available along the pool deck. 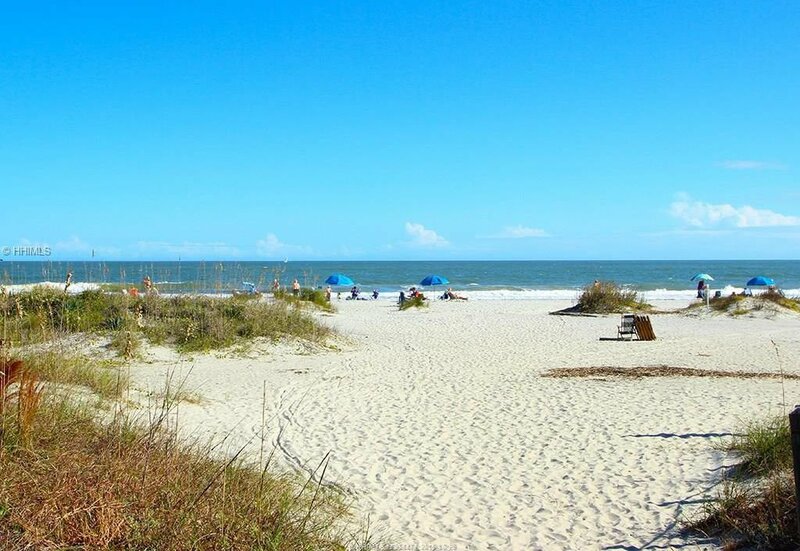 Never feel like you have to choose between poolside or beach combing. 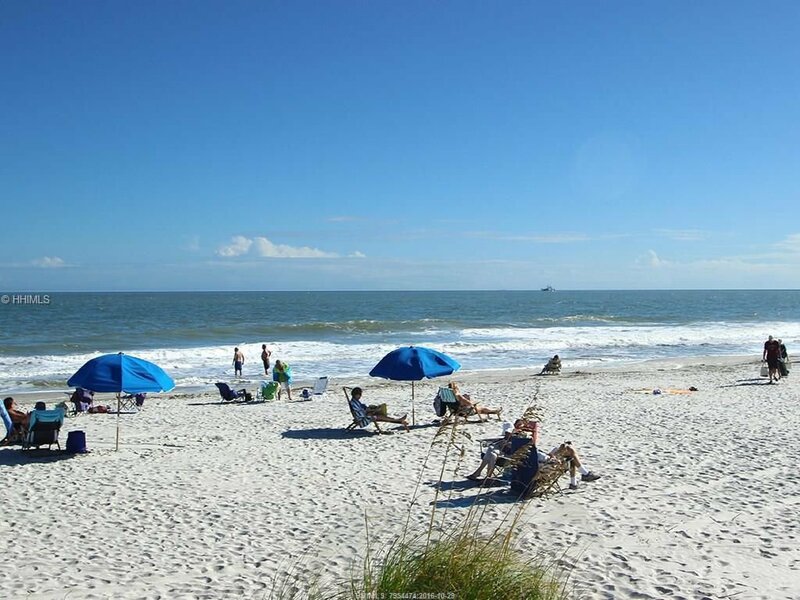 Grab your beach towels and head on over to enjoy the soft white sands and stretch out by the seaside. 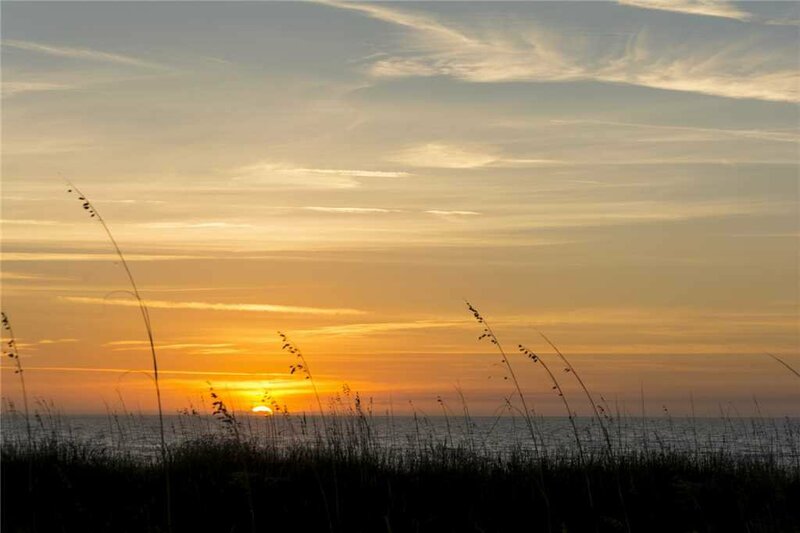 You may see dolphins or find some handsome driftwood or well-worn sea glass. 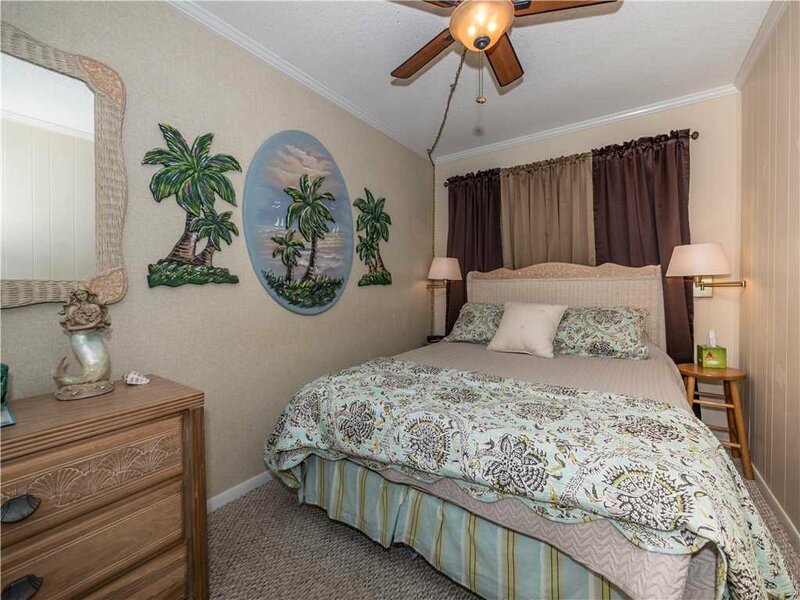 After a day of play and sightseeing, your master bedroom will look incredibly inviting. Climb into your queen-sized bed and let the ceiling fan lull you to sleep. 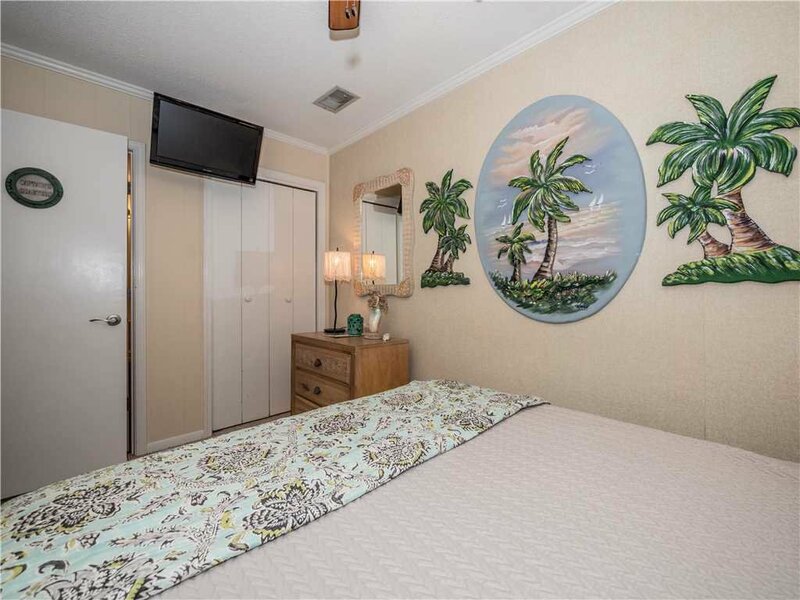 You also have a wall-mounted flat-screen TV in your bedroom in case you want to watch a little late-night programming. 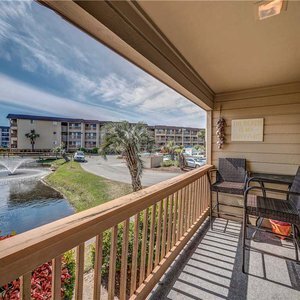 Your Hilton Head Beach and Tennis B134 bathroom will quickly get you on your way for a day on the links, at the beach, or exploring the pleasures of Harbor Town. 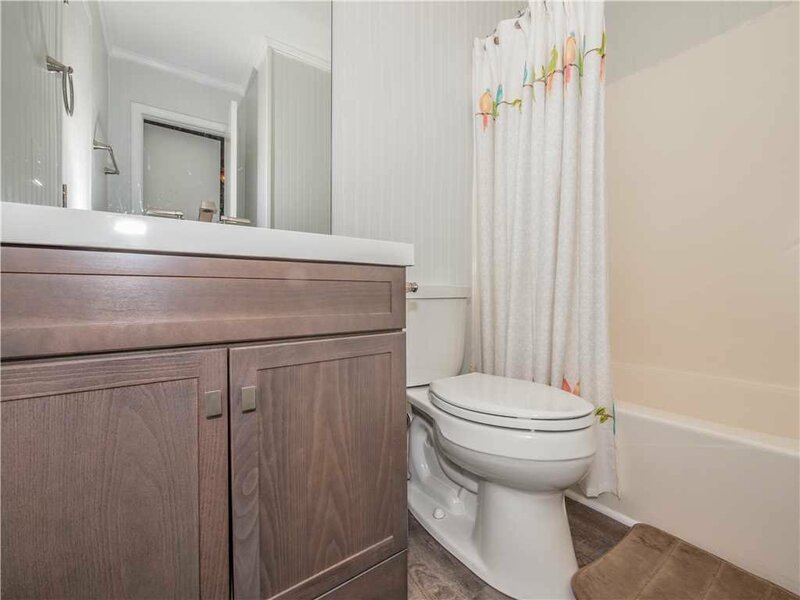 You’ll find a shower/tub combination and a vanity with plenty of storage space for your toiletries. 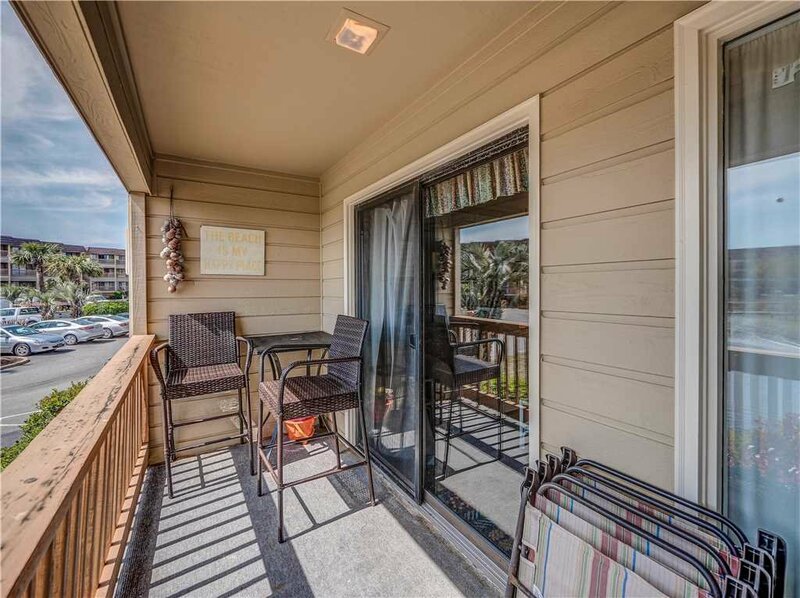 Brush your teeth, throw on some shorts, and head out to the balcony to enjoy the salty sea air. 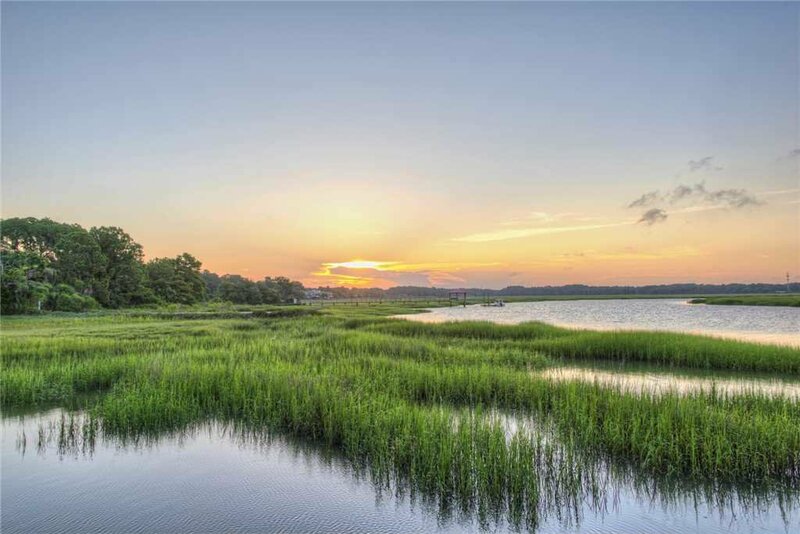 Everything is so fresh and beautiful on a Hilton Head morning. 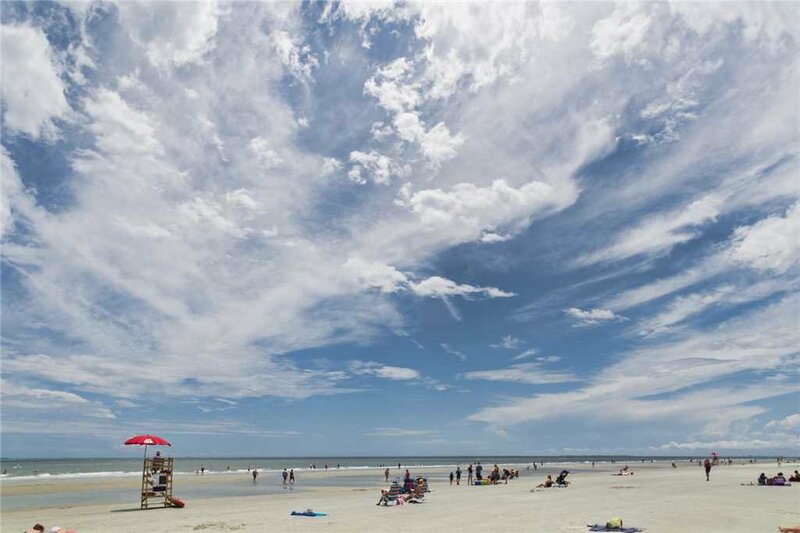 Plan today to make Hilton Head Beach and Tennis B134 your next headquarters in Hilton Head. 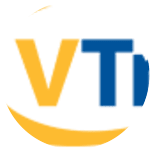 It’s a relaxing destination and a fine choice for your vacation. BOOK TODAY! !